As most of you console-game freaks know, Grand Theft Auto V will be out within couple of months in Spring 2013 officially announced by Rockstar Games. This will be candy for all those open-world action-adventure-game fanatics out there, who also enjoy pretty visuals. The release date is yet not officially released, but speculation says it might be around March 2013. We'll see about that. The game will be released for both consoles Playstation3 and Xbox360, and you can already pre-order it from Amazon.com for example. Get ready for nagging girl-friends and get your popcorn ready... you know you're gonna need it at least when the cut-scenes hit in! 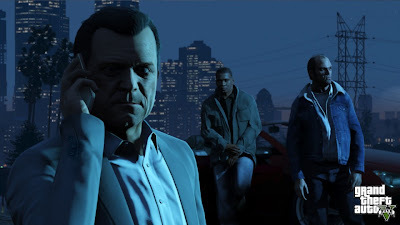 What we know about this game is, that it is developed by Rockstar North (UK), and released by their mother-company Rockstar Games. 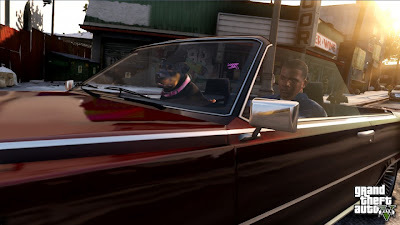 The game takes place in fictional city of Los Santos in state of San Andreas, influenced heavily by real-world Los Angeles and Southern California. The game will feature three different main characters, of which you can freely select who to play as. 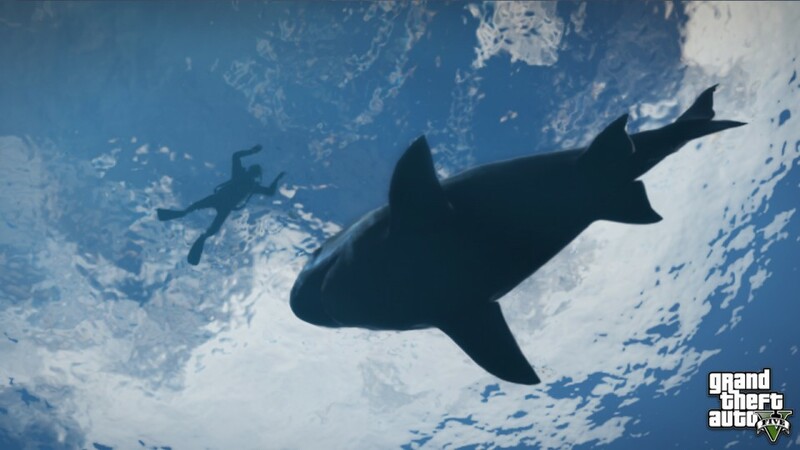 Rockstar North claims GTA V to be the biggest sized open-world game yet -- although unlikely -- since perhaps they are forgetting the history. There has been absolutely huge games in the past calculating by just a land mass size, but then again they contained a lot of empty space and random-content. However, that's another story... but the game should certainly be quite massive as it's promised to exceed the size of quite big GTA IV. Below are five new screenshots, that Rockstar Games have released for us for Christmas holday seasons to look at. 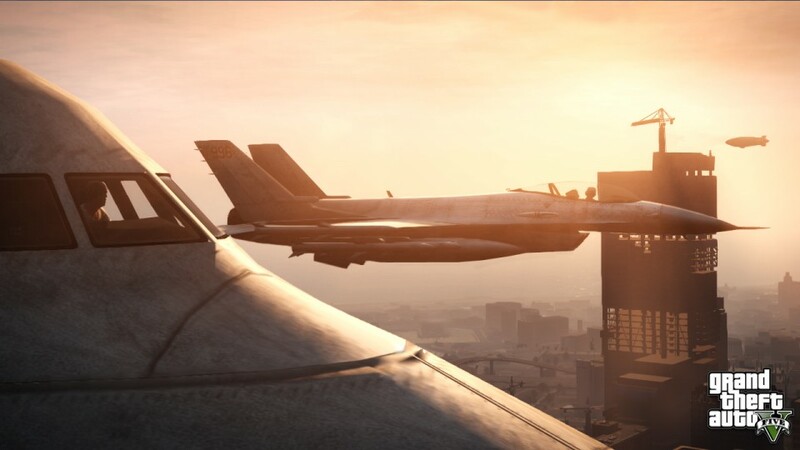 The game's visuals seem quite impressing, perfected quite a bit since GTA IV, although one can definitely see slight lack of detail (in modern day), since it gets tough to crank more out from old Xbox360 and PS3 hardware than what has been achieved previously. 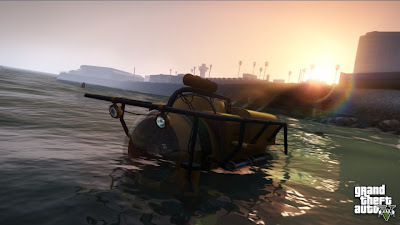 Mostly effects, shaders, and special filters get more advanced every year presenting better look for games, but they cannot add too much more detail, because the old hardware cannot take it. Nevertheless, how these screenshots look like, pleases me enough. 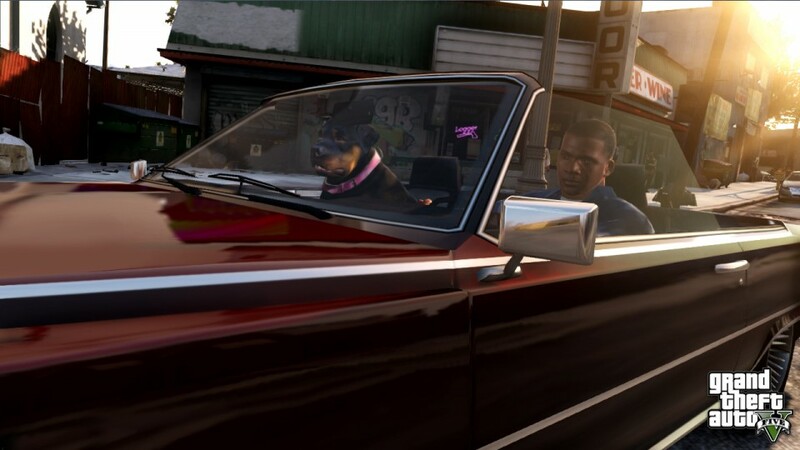 I'm sure GTA V will be entertaining action-packed no-brainer ride once again. The new shots presents us sharks, mini-submarines, fighter class aeroplanes, and a dog as companion. One things certain... you'd better off from deep waters without a damn harpoon on your hands.. Enjoy!